Crazy for chrome? 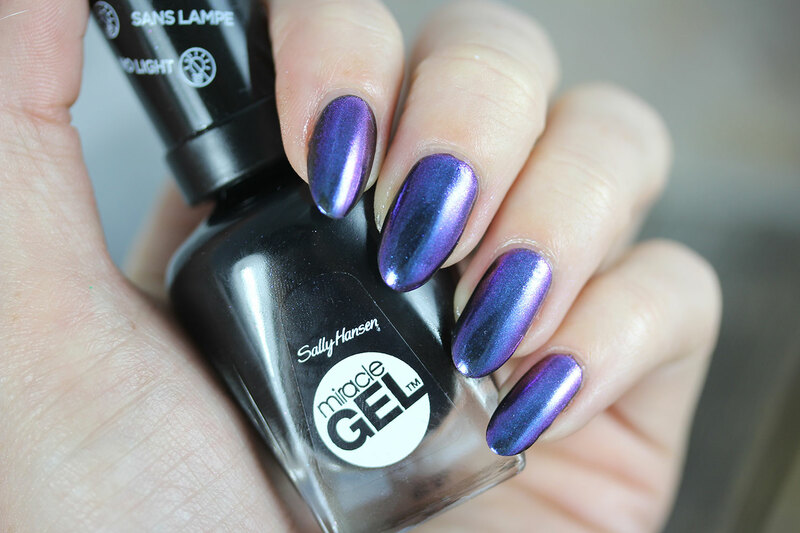 Itching to get that mirror-like finish on your tips, but don't want to deal with LED-cured gel? Well, Sally Hansen just came out with a new kit that allows you to bring that shiny salon effect home! 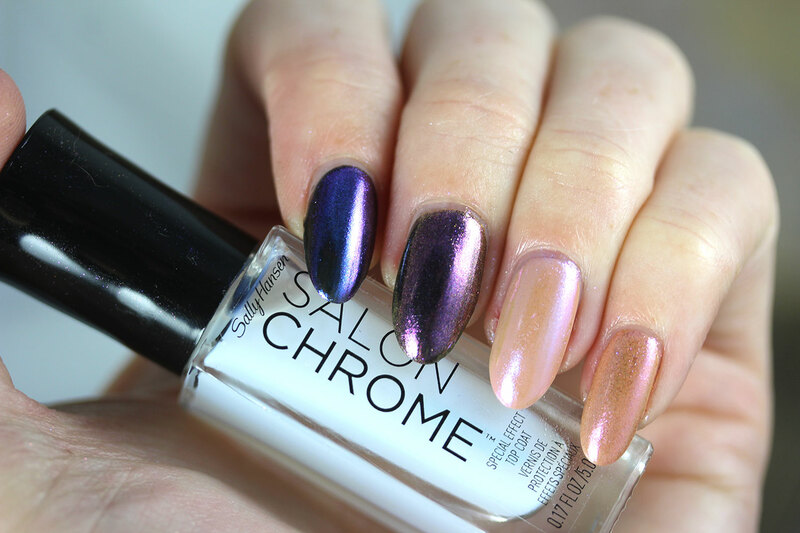 The new Salon Chrome sets aim to give you the reflective chrome finish on a regular polish–no light curing needed! This kit comes in 4 reflective colors: Peacock, Mermaid, Gunmetal, and Rose Gold, and retail for $15.99. 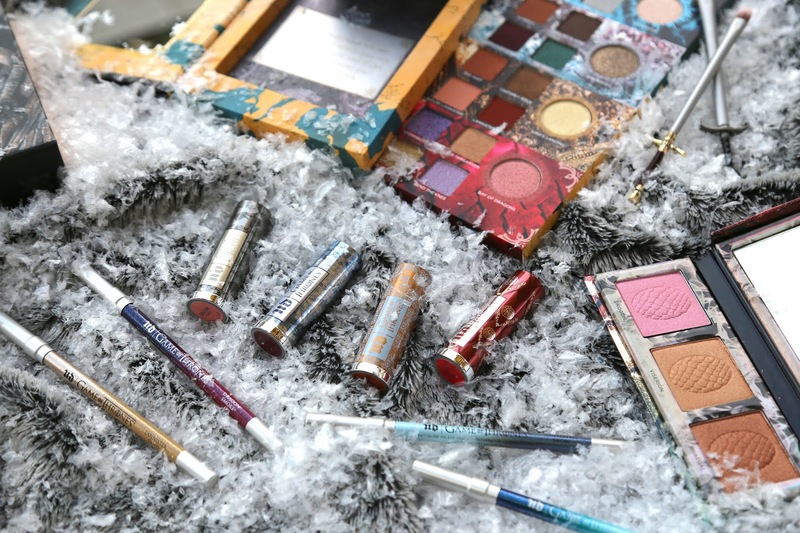 Each kit contains the special effect topcoat, the chrome powder, and a sponge-tipped applicator. 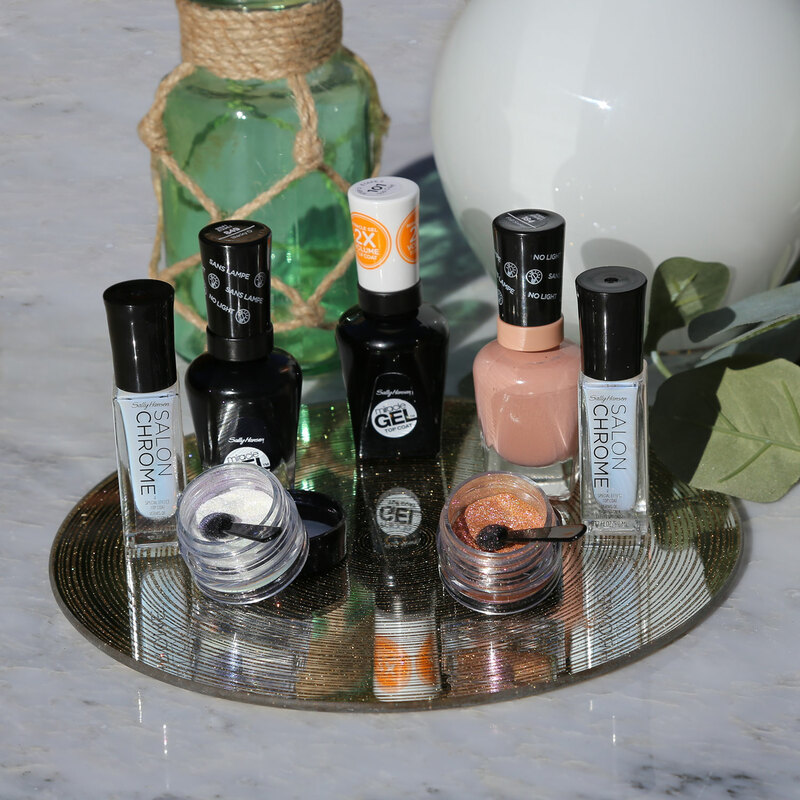 In addition to the kit, you'll need the corresponding Sally Hansen Miracle Gel color, as well as the Sally Hansen Miracle Gel topcoat. 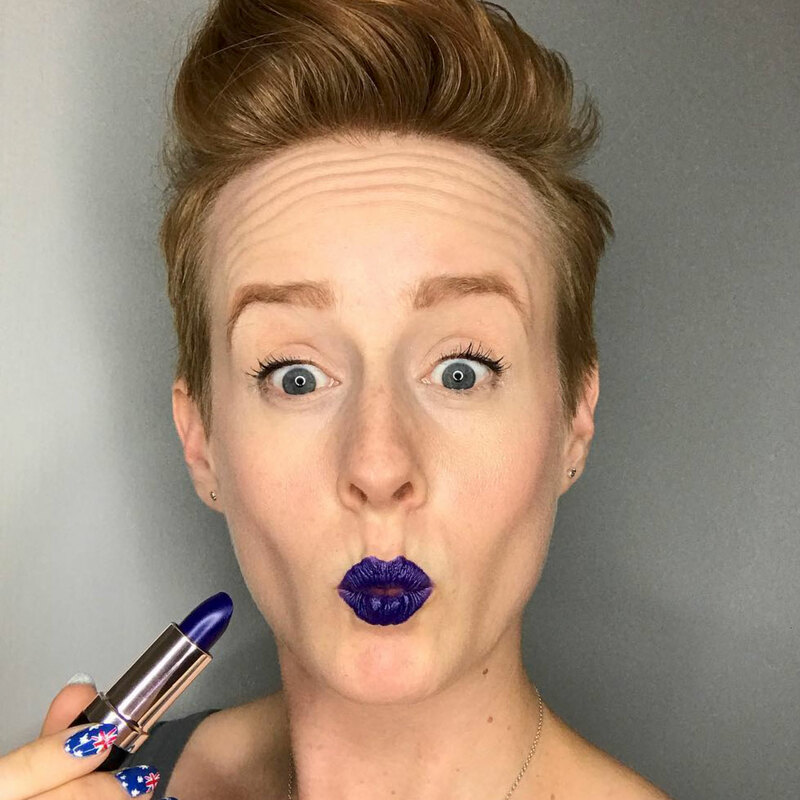 I was sent the kit in Peacock and Rose Gold to try out for this post– hit the jump to see what I thought! Following the instructions for the kits, I applied two thin coats of the Miracle Gel polish in Frill Seeker for the Rose Gold kit, and Blacky O for the Peacock kit. I then allowed it to dry until tacky, about 2-3 minutes. This is tricky. Too short, and you smudge everything and have to start over...too long, and the powder doesn't stick very well. Once the polish is tacky, but doesn't leave a mark when you lightly touch it, dip the applicator in the powder and GENTLY rub onto the surface of the nail. GENTLE is the key. 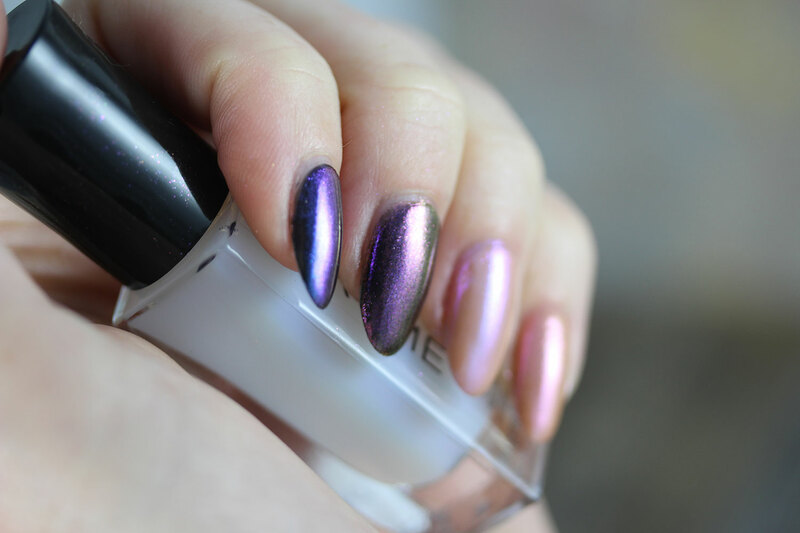 I actually found (after testing multiple times) that if I applied the powder and let it sit for a sec, and then massaged into the nail with my fingertip, I got better coverage and a better 'chrome' effect. Next, apply a super thin coat of the Special Effects topcoat and let it dry for 5 minutes. 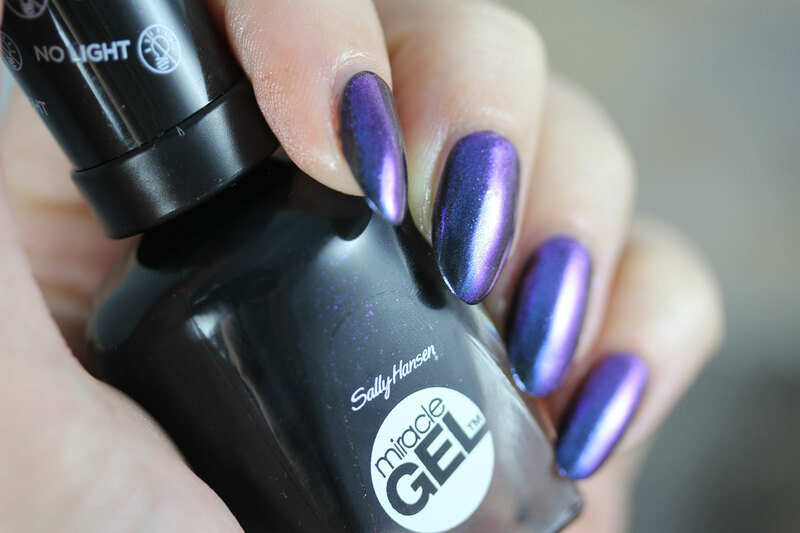 Be careful with this, if it's too thick, even after 5 minutes, when you apply the Miracle Gel topcoat, it will drag and smear the special effects topcoat and make the surface look all lumpy. 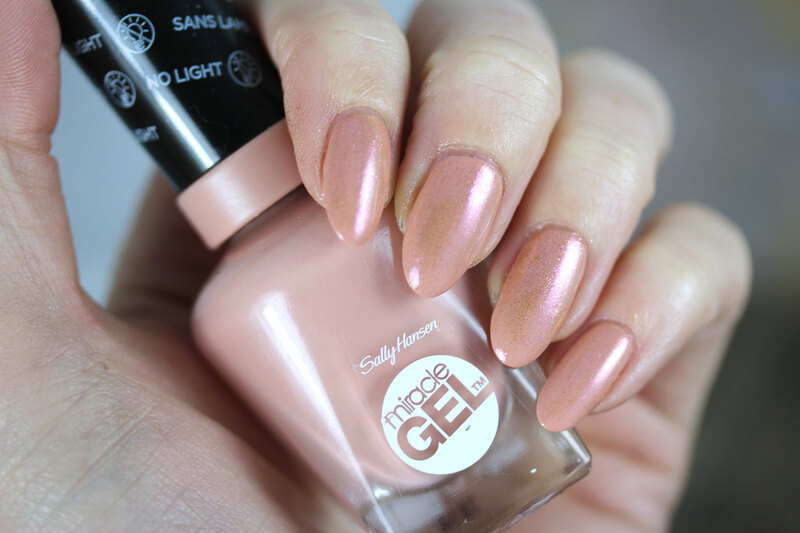 Seal everything with the Sally Hansen Miracle Gel topcoat and let dry. To remove all the excess powder from the surrounding skin, I simply washed my hands! :) Easy peasy. While this is a great alternative for those who are reluctant to use light-cured gel, it doesn't really give the exact same effect. While this product DOES look fairly reflective and duochrome-y from an arm's length, up close, it's more like a sparkly duochrome. Of the two I tried, the Peacock was much more chrome-like, but I was very surprised by how much I liked the Rose Gold kit, considering I'm not much of a pink gal. It has a warm, coppery reflect to it, which I totally dig. I also noticed that the chrome effect was far more prominent before adding the Miracle Gel topcoat, which made it more sparkly than solid. Still super pretty though, and I got lots of compliments! What do you think? Will you swap out your light-cured gel next time you are seeking that shiny chrome-like finish, or are you unconvinced? Tell me in the comments! Disclosure: Products in this post were sent to me by the manufacturer for review. All opinions are my own.